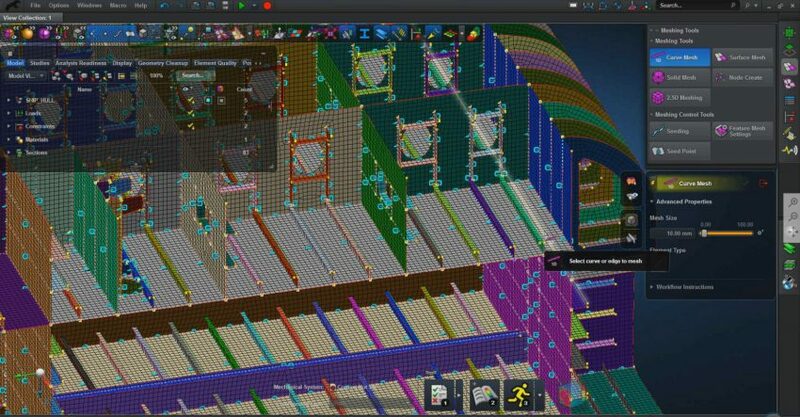 As the next generation of CAE software, MSC Apex improves engineering efficiency and reduces product development costs by enabling early system-level design validation. Meshing: Hex-meshing Virtual Cells Mesh assignment and properties, Surface Meshing, Thin wall solid Meshing. Thanks for the excellent webinar today on MSC Apex Harris Hawk. Very powerful. Quick question which wasn’t answered during the webinar due to shortage of time: Is there a plan to add process modeling capabilities i.e. cure kinetics? This would be a combination of three main analyses: thermo-chemical + flow compaction + stress/deformation, including the effects of detooling on residual stresses (leading to spring-back/spring-in deformations/warpage/ply-wrinkling on convex/concave tool faces).